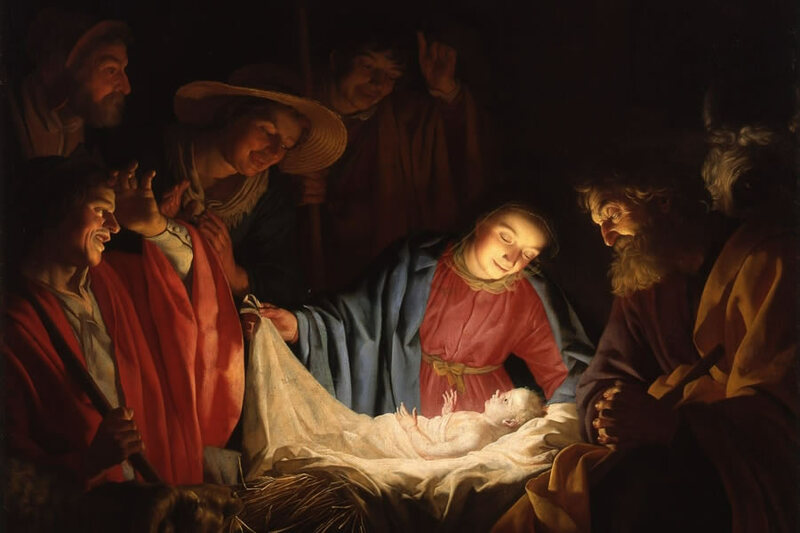 "Luke sets up his story as the tale of two rival Emperors: Caesar, the king of the world, and Jesus, the baby king. While Caesar rules from his palace in Rome, Jesus has no place to lay his head; while Caesar exercises rangy power, Jesus is wrapped in swaddling clothes; while Caesar surrounds himself with wealthy and sophisticated courtiers, Jesus is surrounded by animals and shepherds of the ﬁeld. And yet, the baby king is more powerful than Augustus— which is signaled by the presence of an army … of angels in the skies over Bethlehem. All four of the Gospels play out as a struggle, culminating in the deadly business of the cross, between the worldly powers and the power of Christ. For Jesus is not simply a kindly prophet with a gentle message of forgiveness; he is God coming in person to assume command. He is the Lord. And the entire New Testament couldn't be clearer that his Lordship means that all those who follow a contrary rule—meaning, pretty much every one of us—are under judgment. "To be sure, the distinctive mark of Jesus' Lordship is love, compassion, forgiveness, and non-violence—but this is not the stuff of sentimentality and warm feelings. It is a provocation, a challenge, a call to conversion of the most radical kind." God of peace, gift of peace for all of humanity, come to live in the heart of every individual and of every family. Be our peace and our joy! Amen!